Southwest has a seriously killer sale going on right now with multiple deals to MANY early season ski destinations. To make things even better, Southwest doesn't charge for bags... including ski bags. While it might not be ideal to book your December trip in June, I feel like the discount elevates at least some of discomfort. 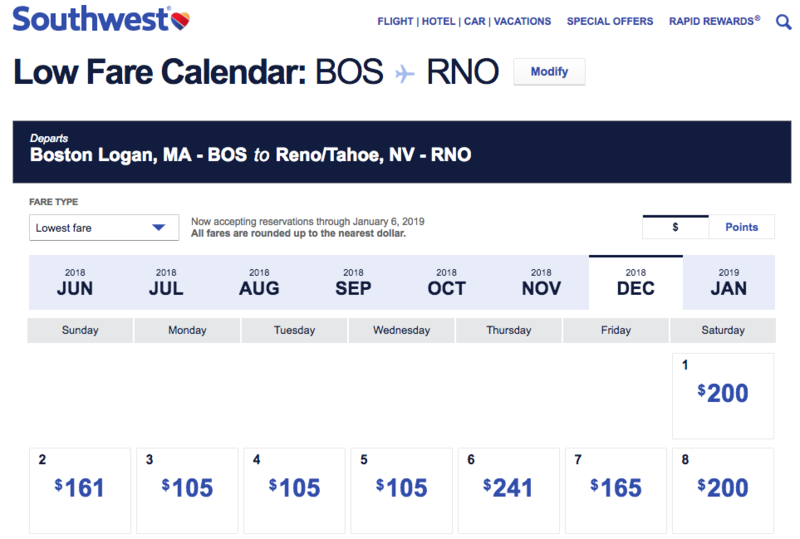 Boston to Lake Tahoe generally runs $350-$400 during ski season — these cheap ski flights save 45% and get you there on Southwest Airlines. So not only do you save 45% off what I would normally expect to get to Tahoe but you also save the baggage fee. That's good for AT LEAST another $100 per person in savings given that almost every other airline will charge you $25 each way for your pack and then $35 each way for your skis. For those of you closer to PVD there are some options there for another $50 or so that could be worth it depending on your commute to Logan. Both the flights from Boston and Providence generally have one Stop. While the cheapest availability is generally in Early December you will have at least the big three resorts open and up and running by that point — Mt. Rose (just above Reno), Squaw Valley and Heavenly. As far as lodging is concerned my thinking on this is that it's worth waiting for one of the big booking sites to run a promo for July 4th, Labor Day etc. and then book your stay with a good coupon code etc. 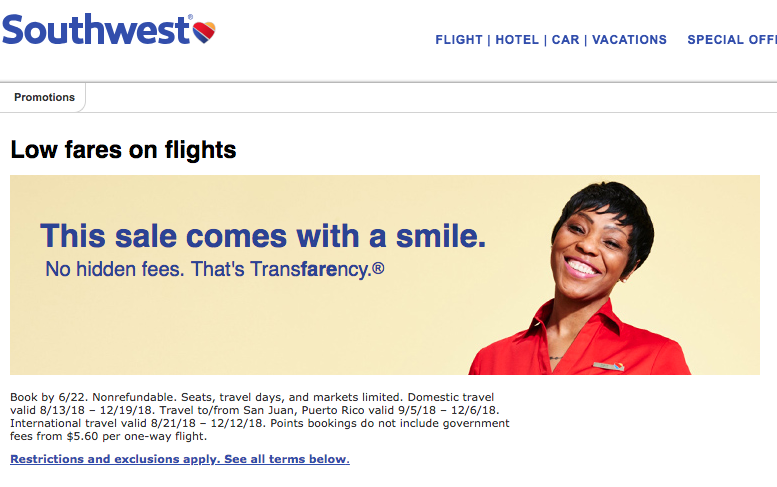 This is part of a Southwest 'Click N Save' sale that ends on the 22nd. That said I wouldn't wait on this since we rolled through all of last year without touching the $212 price point. Details on the promo can be found here, or by clicking the image below. That should land you on the right calendar. You are looking for the flights that are $105 each on the way out there, and either $109 or $113 on the way back. Per the above this sale covers dates up to December 19th, so flights leaving / returning after that are WAY MORE expensive ($300 each way at least).